SACRAMENTO, Calif. /California Newswire/ — Today, Calif. 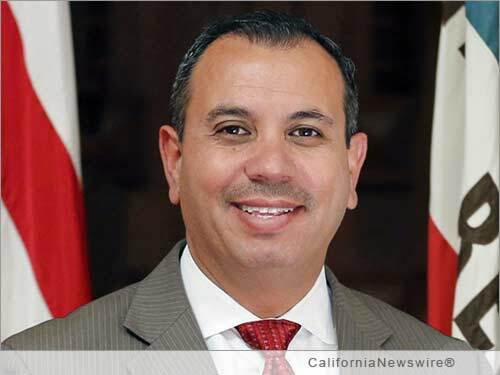 Senator Tony Mendoza (D-Artesia) introduced a measure to improve school bus safety in California. SB 1072 would require school buses in California to be equipped with child-safety alarm systems to ensure that children are not left on buses unattended and in potentially hazardous circumstances. A school bus child-safety alarm system generates an audible sound when the ignition of the vehicle is turned off. This alarm requires the bus driver to walk to the rear of the vehicle to silence the alarm, thereby detecting any remaining children or passengers on the school bus. Some states, including Arkansas and Wisconsin, already require school buses and childcare vehicles over a certain passenger size to be equipped with child-safety alarms. Current law requires public and private school districts to create and follow a transportation safety plan containing procedures for school personnel to follow to ensure the safe transportation of pupils. The plans must include specific procedures on boarding and exiting a school bus at each pupil’s bus stop and at the final trip destination. Additionally, to operate a school bus, a driver is required to obtain a California Special Driver Certificate from the Department of Motor Vehicles (DMV), which entails classroom instruction, special training, and testing. Annual renewal of the certificate is required and involves 10 hours of renewal classroom instruction, or behind-the-wheel or in-service training. During the last several years in California, there have been several cases where children were left on school buses unattended and found hours later. An example of one such case occurred last year in Los Angeles when a special needs student died after being left alone accidentally on a bus for many hours. Require all school buses to be equipped with an operational child-safety alarm system that prompts the driver to inspect all seats before leaving the bus. The system must be approved by the CHP and hard-wired into the vehicle’s electrical system and activated when the ignition is turned on. Require drivers upon a renewal of their annual school bus driver safety certificate to receive training in child-safety check procedures. Impose a penalty for a driver, school district or contractor who knowingly permits a child to be transported in a bus in which a child safety alarm has not been installed, is not properly maintained, or is not in good working order. Direct the CHP to promulgate rules to implement this section and provide a list of child-safety alarms that are approved for use in school buses and a qualified technician or mechanic that can install the system. Grant school districts and school bus contractors a grace period of three months after the date that the CHP issues the rules to install a child safety alarm. Christopher Simmons has been a working journalist since his first magazine sale in 1984. He has since written for wide variety of print and online publications covering lifestyle, tech and entertainment. He is an award-winning author, designer, photographer, and musician. He is a member of ASCAP and PRSA. He is the founder and CEO of Neotrope®, based in Torrance, CA, USA.